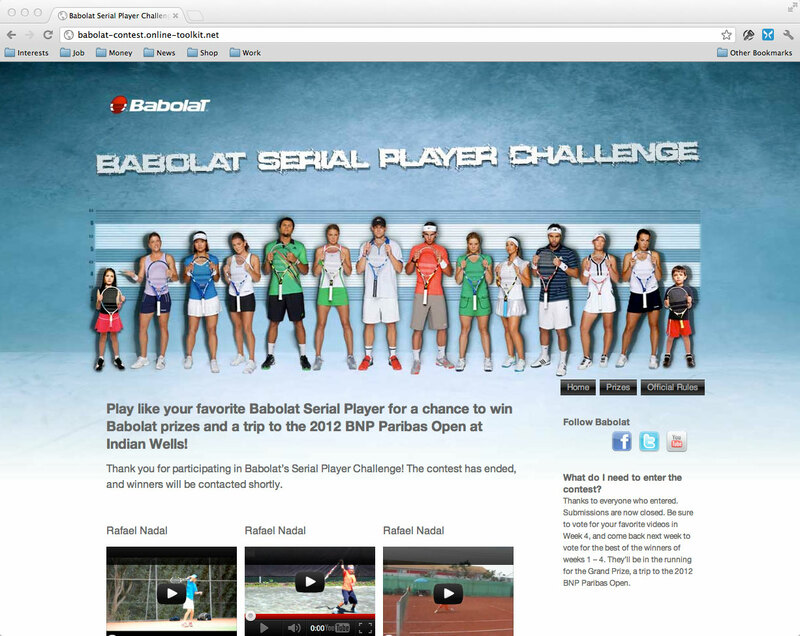 This contest giveaway challenged Parents and Kids to make a video for YouTube that showed the kids playing like their favorite Babolat Serial Player. We leveraged the power of YouTube and social media to drive contestants to the contest site, where they could post their videos. Winners were chosen based on popularity, and the grand prize was a trip to the BNP Paribas Open. The site was built on WordPress, with a custom theme, custom and open-source plugins, and featured two-factor authentication and a voting system that prevented contestants from gaming the system to vote-load their own entries. Each video was posted by the entrant by simply pasting their YouTube URL, creating a WordPress post.